How fitting that the first comic is about robots. I haven’t completely mastered my Wacom tablet yet, so the lines may be a little sloppy. The original comic was drawn on printer paper with a ball-point pen, and I scanned it in and traced over it to make it neater-looking. 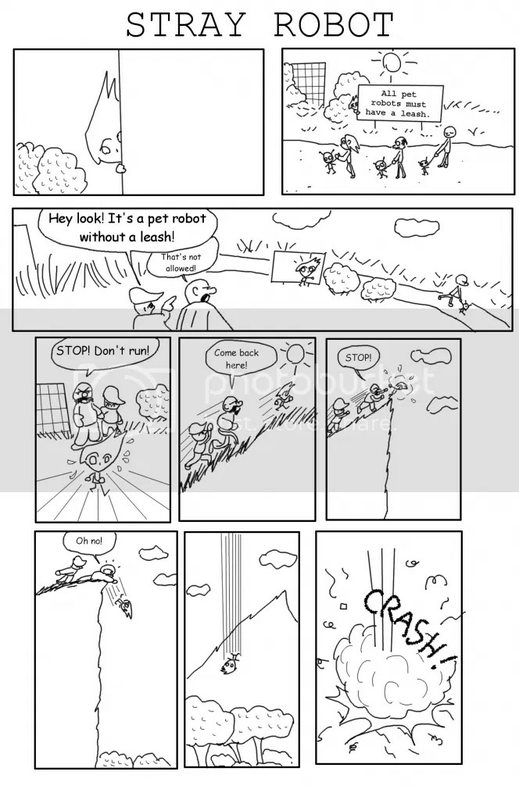 This entry was posted in Short Comics and tagged comics, robots on June 16, 2014 by Dean Yockey.